According to the California Department of Forestry & Fire Protection (CAL FIRE), California has experienced at least 680 wildfires during the first few months of 2013 alone. This increase of 200 fires compared to last year is caused by a lack of rainfall statewide. Create a defensible space – Remove dead vegetation, such as plants, grass, or dry leaves within 30 feet around your home, other structures, and decks. Separate trees and vegetation by at least 10 feet by trimming and pruning the branches. Choose fire resistant materials for the roof of your home, including metal or tile. Install dual-paned windows with tempered glass to reduce chance of breaking from extreme heat. Cover all vents with metal mesh to reduce chance of flying embers entering the home. Keep a fire extinguisher, shovel, and bucket in your garage for fire emergencies. The Law Firm of Joseph H. Low IV can help you recover damages after a fire, particularly if an insurance company has refused your claim. 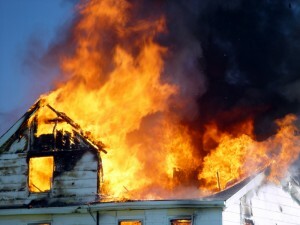 Our Long Beach bad faith fire insurance attorneys have extensive experience protecting the rights of fire victims. Contact us online or call us at (888) 454-5569 for a free consultation about your legal options.